The following are products that we have designed to help you pray for the lost and the spread of the gospel across the world. It is our hope and prayer that these materials will assist you and your church in reaching others for the Lord Jesus Christ. Please check this page periodically because we are in the process of producing more materials in this area. You can make donations to this ministry at anytime using your credit card. 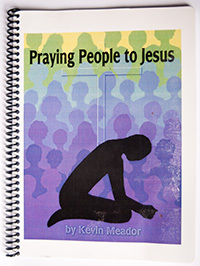 This packet is ideal for teaching believers how to pray for the lost. It contains a Praying For the Lost brochure, a prayerwalking key ring, and a personal evangelism bookmark. 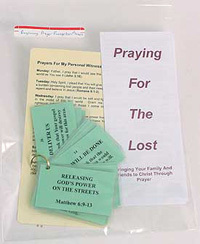 Pastors or prayer coordinators can use this material to equip believers in praying for the lost. This packet of materials will assist you in praying for our nation. 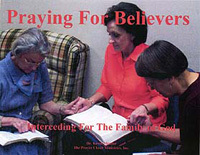 It can be used to teach believers how to intercede for the country. 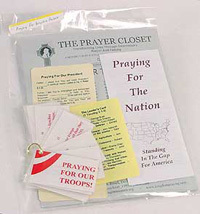 It contains two newsletters on praying for our nation and our leaders, a Leader's Prayer Card, a Praying For America Brochure, a Praying For the President bookmark, and a Praying For Our Troops key ring. 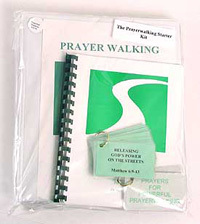 This kit will help you get started in prayerwalking. 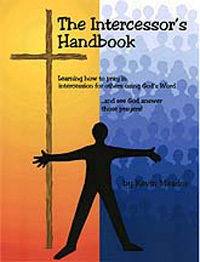 It is designed for the beginner who wants to practice prayerwalking. It will also encourage the veteran prayerwalker. 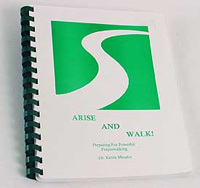 This kit contains the Prayerwalking manual, the Arise And Walk! devotional, and two prayerwalking key rings. Arise And Walk! is a daily devotional that helps you prepare yourself for prayerwalking. 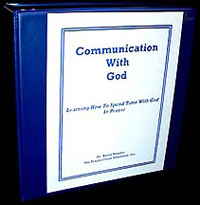 It provides you with basic teaching about prayerwalking along with helping you get in tune with God. It can be used by individuals or for group study. Do you long to see people come to Jesus in faith? Prayer is the essential key to this. This Bible study will provide you with the basic principles to help you learn how to pray for the lost. It is ideal for group or individual study. This daily devotional will guide you in praying the Scripture for your wife and your marriage. You are provided with Scripture prayers for each day. It will help you cover your wife daily for the year. 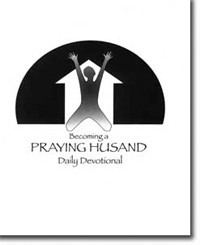 This devotional can equip you to learn to intercede for your wife with power and confidence. This tape series and study guide focuses on the basics of intercession. It will help you grow in your understanding of praying for others and in your ability to stand in the gap. ¨ How Does Satan Attack A Believer? 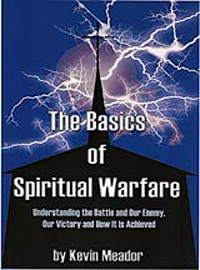 ¨ How Does Satan Attack A Church? This cassette and study guide focus on the basics of developing your prayer life. Dr. Meador teaches on the building blocks that are essential to developing a powerful and effective prayer life before God. This study can be used to encourage new believers and to remind mature believers of the essentials of prayer. This tape set and study guide focuses on the armor of God. 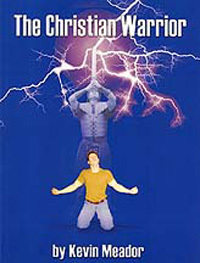 The cassettes contain messages by Dr. Kevin Meador on the necessity of the armor and how to put on and use the armor. The study guide helps you to apply the truths to your life. 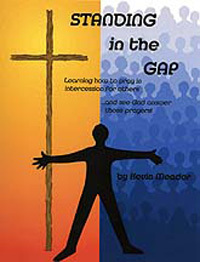 A manual designed to help you intercede for believers. 45 pages. The Praying For Your Church Manual is designed to help you pray specifically and strategically for your church. The manual provides prayer strategies and Scripture prayers that will enable you to pray concerning the life and growth of your church. The sections of the manual include: Pastor, Deacons, Evangelism, Growth, Unity, Worship, Discipleship, Spiritual Warfare, Revival, and Specific Intercession for the Needs of Your Church. This devotional workbook focuses on the example of Jesus and His teaching concerning prayer. Each day will focus on some aspect of His example in prayer or His teaching on prayer. 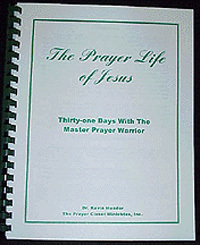 Allow the Master to teach you how to pray as you work through this devotional guide to the prayer life of Jesus! Through prayer, you can receive God's grace, power, and love to grow and strengthen your marriage. This manual will provide you with Scripture prayers and prayer strategies to help you seek for God's blessing in your marriage. 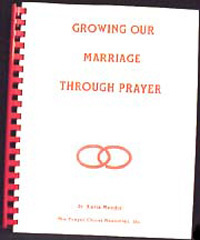 This manual can also be used as a guide to intercede for marriages or for those who are preparing for marriage. These materials will aid you in developing your ability to praise God. This packet includes a cassette tape and manual. On the cassette tape, Dr. Kevin Meador guides you through the basics of praising God. The "Developing A Heart For Praise" manual will help you put into practice what the Bible teaches about praise. In Matthew 6:10, Jesus teaches that believers should pray for the kingdom to come. The "Kingdom Praying" manual is designed to help you carry out this command of Jesus. This prayer manual will aid you in praying for missionaries and the spread of the gospel around the world. 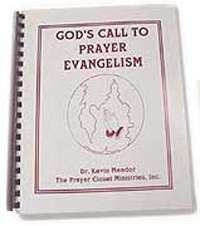 This manual contains prayer strategies and Scripture prayers concerning missionaries, nations, and people groups. -Scripture prayers and strategies to aid you in praying for the lost. You love your wife. You want to have a happy and growing marriage with her. Praying for your wife is crucial to this. When you pray, you are inviting God into your marriage. 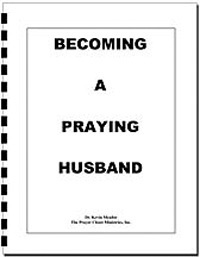 This prayer manual is designed to help you pray for your wife. In this manual, you are given Scripture prayers and insights that you can use to intercede for her. It will assist you in becoming a praying husband. You can't be a perfect parent, but you can be a praying parent. . Through prayer, you can have a positive, powerful, and righteous influence in your child's life. 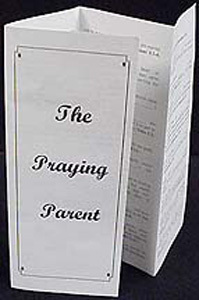 This manual offers you a variety of Scripture prayers and insights to cover your child's life in prayer. It will provide you help in knowing how to pray concerning your child's needs and circumstances. Prayerwalking is praying on-site with insight. It is releasing the power of God as you walk. This prayer manual will assist you in learning how to prayerwalk and in leading prayerwalks. 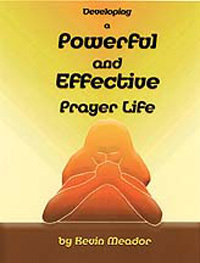 It also offers a variety of prayer guides that you can use as you prayerwalk. You may not be able to go to the mission field. Yet, your prayers can. Through prayer, you can make a righteous difference in this world. 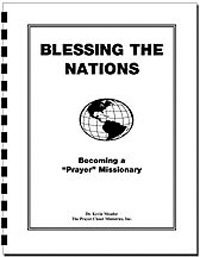 This prayer manual will give you insights on how to bless the nations through prayer. 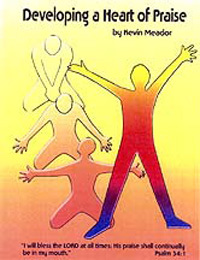 It is also comes with a cassette study by Dr. Kevin Meador. Do you long to see life-transforming worship services in your church? This prayer manual will help you to pray fervently for your worship services. There are a variety of prayer guides and insights to aid you in praying for the worship and the preaching of your church. It is ideal for developing teams who will pray during the worship services. This prayer manual is a rich treasure of insight for your prayer life. The power of this manual is that it provides you with Scripture prayers for your life, your church, your nation, and your world. It is an essential for any prayer ministry or prayer room. It is an ideal follow up for the Standing In The Gap Bible Study. Do you want to have a powerful impact on those around you? 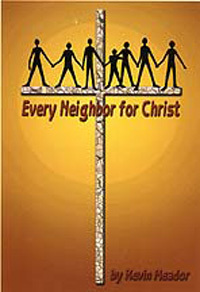 The Every Neighbor For Christ Bible study will provide you with the basic principles for reaching out to your community through prayer. This seven-week study will show you a variety of ways that you can touch your area through prayer. It is ideal for Bible study groups or Wednesday night prayer meetings. 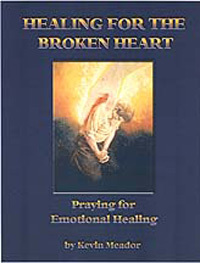 In this study, Dr. Meador will guide you through a basic study of God’s emotional healing. It will provide you with a biblical basis for emotional healing along with how to seek God for that healing. Whether you are in need of emotional healing or want to pray for those who need it, this study is essential. This study comes with a manual and eight messages on emotional healing. 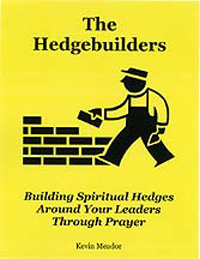 The Hedgebuilders is an exciting study that will assist you in building spiritual hedges around your spiritual leaders. You will learn what a spiritual hedge is and how to build them around your spiritual leaders through prayer. This prayer manual consists of a Bible study along with cassettes and prayer guides to help you grow in your ability to pray for your spiritual leaders. This prayer manual is designed to help you build a powerful prayer life in the midst of a busy pastorate. 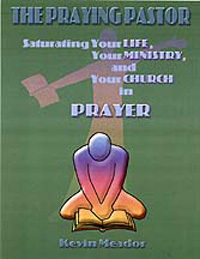 This manual provides you with Scripture prayers for your personal life, your ministry, and your church. 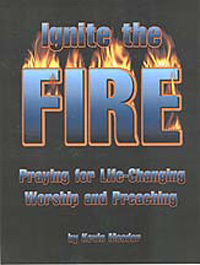 It is a rich resource to help you cover your life, ministry, and church in prayer. 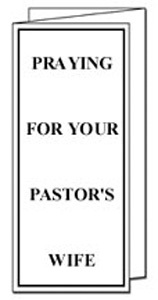 It is also an ideal gift for your pastor. You can make an eternal difference in the lives of people across the world. You can bring change to the nations of the world. 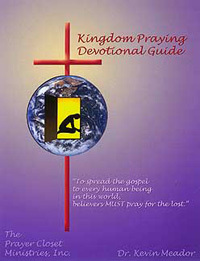 The Kingdom Praying Daily Devotional will enable you to pray for every nation in the world in one year. 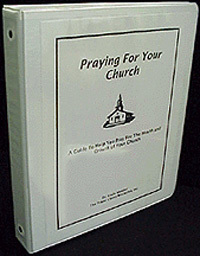 It also provides you with insights and Scripture prayers for your church and local area. Begin the journey of changing the world today by daily praying for the nations! Your pastor's wife-indispensable but often overlooked. This brochure is filled with Scripture prayers that will help you intercede for your pastor's wife-her needs and her ministry in the church. This brochure provides you with 45 Scripture prayers that you can use to intercede for your child. These prayers cover the various aspects of your child's life. You may not be a perfect parent, but you can be a praying parent! 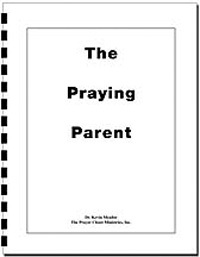 This brochure can help you grow in your ability to pray for your child. 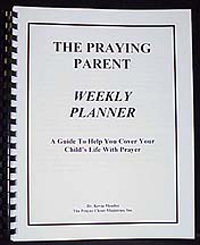 This planner assists you in covering your child's life through prayer. It provides you with a plan to divide your concerns for your child according to the days of the week. There are also prayer strategies to help your pray for your child. 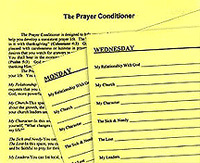 The "Prayer Conditioner" has been designed to help believers develop the daily discipline of prayer. The Prayer Conditioner enables believers to organize their prayer lives on a daily basis. The "Prayer Conditioner For Children" has been designed to help children discover their prayerlife. 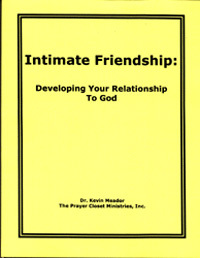 This is a prayer journal that is designed to help you build your relationship to God. 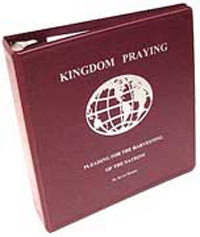 It is a three-ring binder that helps you organize and develop the various parts of your prayer life. Sections in the journal are Adoration, Confession, Thanksgiving, Supplication, Missions, Listening, Church, Healing, Intercession, and Bible Study Insights. 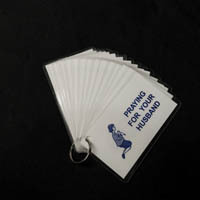 This key ring has been designed to help you intercede for our soldiers. You can use this to pray for individual solders that you know or for the troops in general. 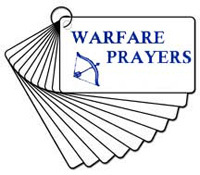 The key ring contains 30 Scripture prayers to aid you in seeking God for our military. This keyring is designed to help you pray the Word of God for your family. 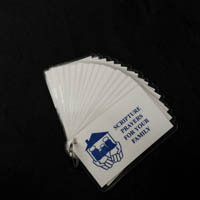 This key ring provides you with Scripture prayers to help you pray for God's protection and blessing on your family. Excellent for prayerwalking! This key ring provides you with Scripture prayers that you can pray for your school. It will enable you to offer powerful intercession for students, teachers, and administration of any school. It is an ideal gift for students, parents, or teachers. 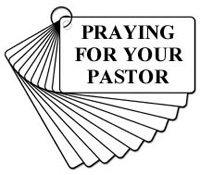 Your pastor needs and deserves your prayers. This key ring will provide you with Scripture prayers that you can use to cover your pastor with prayer on a daily basis. Deacons are crucial to the health and growth of a church. Their ministry is essential for God's blessing on your church. This key ring will enable you to cover your deacons in prayer. It provides you with Scripture prayers that assist you in praying for them and their ministry. 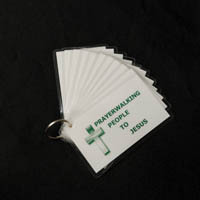 This prayer key ring is designed for prayerwalking. It can help you provide powerful, scriptural intercession as you prayerwalk. 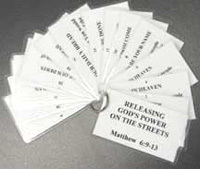 The key ring consists of Scripture prayers that you can pray for an area and a variety of needs. These prayers can be adapted to any area or circumstances. This key ring will assist you in pleading for God's blessings as you prayerwalk. This prayer key ring is based on the Model Prayer. 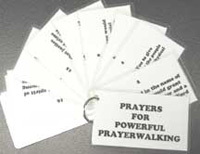 It provides you with prayer ideas that you can use as you prayerwalk. The phrases that make up the Model Prayer are the basis of the requests. 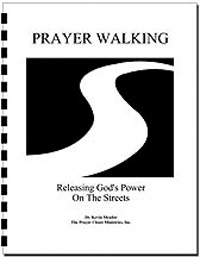 Using the Model Prayer can unleash God's power in the streets where you prayerwalk. This prayer ring will help you stand against the schemes of the enemy for your area. It provides you with a variety of Scripture prayers to pray for the removal of evil and the establishment of righteousness around you. It is ideal for prayerwalking. This prayer ring will aid you in cultivating the fruit of the Spirit in your life. 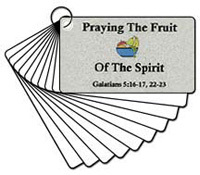 This prayer ring provides you with Scripture prayers to help you pray for the removal of the works of the flesh and to replace it with the fruit of the Spirit. It is ideal for those in need of emotional healing. A key ring that helps you put on the armor of God on a daily basis. 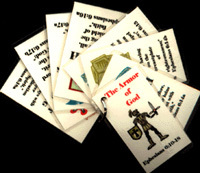 The key ring consists of laminated cards with each piece of the armor on it along with a suggested prayer for placing each piece of armor on. Do you struggle is praying for healing in the lives of others? 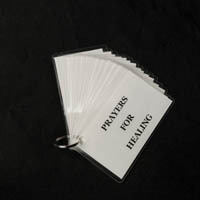 This prayer ring is packed with Scripture prayers to enable you to seek God’s healing power. 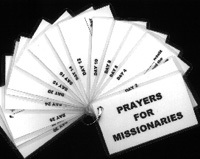 A key ring that is designed to help you intercede for missionaries. 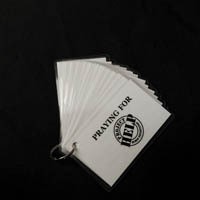 This key ring has 16 laminated cards with Scripture prayers that you can use to intercede for missionaries. Prayer does make a difference in families. 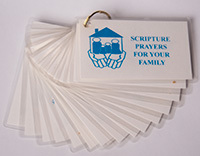 This prayer ring offers a wide range of Scripture prayers to pray in behalf of your family. It is also ideal for intercession for families in a church or in prayerwalking. 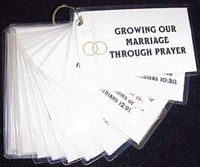 This key ring provides you with 32 Scripture prayers for your marriage. You can use this key ring to plead for God's power and blessing in your marriage. This prayer ring provides you with a variety of Scripture prayers to pray for the salvation of people. It focuses on the person and work of Jesus Christ. It is ideal for evangelistic events and prayerwalks. This prayer ring is designed to assist in the Project HELP initiative of the WMU of the Southern Baptist Convention. It offers Scripture prayers for a variety of issues over personal and social injustice. It can be used apart from this as a tool to pray over injustice in your city or area. The Praying For Your Husband prayer ring is designed to help you pray the Word of God for your husband. These Scripture prayers will assist you in interceding for his walk with God and his relationship to you and your family. If you would like to receive any of these products, please contact us at prayer@prayerclosetministries.org Or simply fill out the FORM below and request which products you are interested in receiving. We do not charge for any of our materials. We do accept donations and they are tax-deductible according to the fair market value. Your donations enable us to provide this ministry and its materials. If you are not able to make a donation, do not let that hinder you from getting what you need to help you develop your prayer life. Disclaimer - If you have received an automated phone call from an 800 number asking you to become a member of The Prayer Closet or asking for financial donations, this call did not originate from us. We do not solicit anyone by phone. This call came from the Manasseh Jordan Ministries. We are The Prayer Closet Ministries, Inc. We do not endorse in any way nor do we have any affiliation or association with Manasseh Jordan Ministries. We are a Bible-centered, Spirit focused ministry that desires to lead people to Jesus Christ and to a deeper relationship with God. Thank you for your continued support of our ministry.